Traditionally comfortable is the cosy Lotus Heather full slipper shoe! Decorated with a wooden toggle detail upon the textile upper, this full slipper shoe is sure to help you relax after a long day. 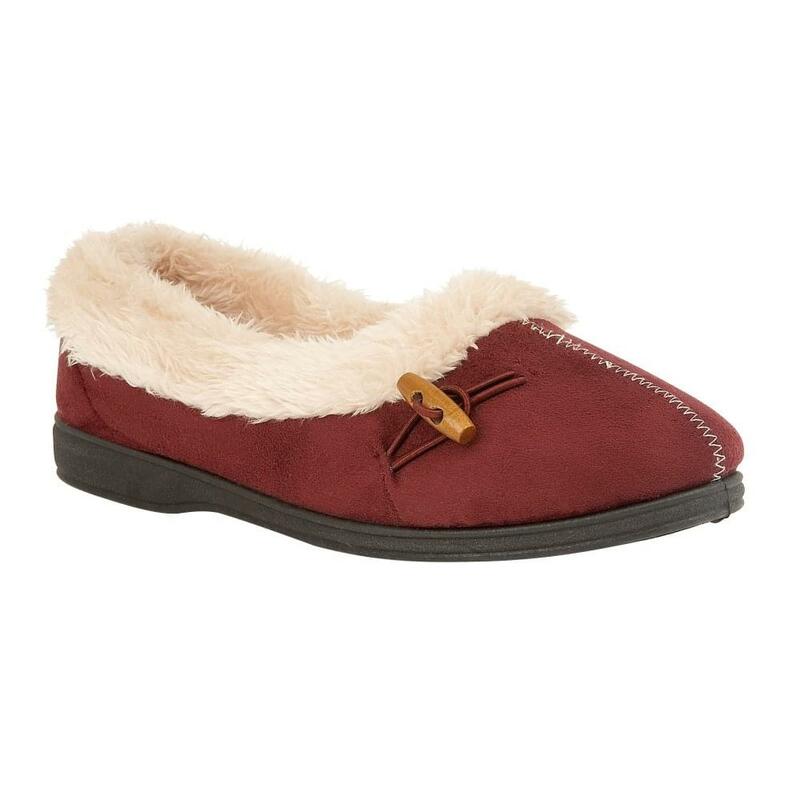 In addition the faux shearling inner is sure to envelop your tired feet in utter comfort, perfect for a relaxing evening in-doors.